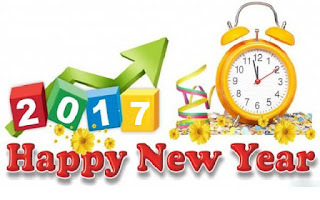 Dear Readers, ExamGuruAdda Team wishes you a very Happy and Prosperous New Year 2017. New Year -new challenges, new opportunity knocking at your doors. Set your goals for 2017 and try to fulfill the same. Be Positive, keep working hard to fulfill your dreams in life. Every achievement associated with some pain. There is no shortcut for success. Success comes with proper planning and strategy and implementation of same. We wishes that all our Readers are able to fulfill their dreams and wishes this year and achieve hights in their Careers.